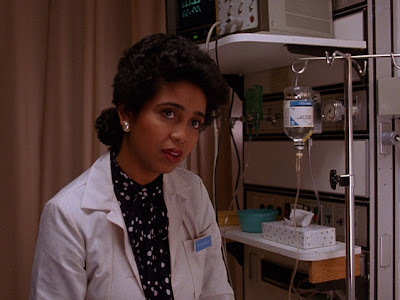 TWIN PEAKS ARCHIVE: Exclusive Dr. Tawnya Pettiford-Wates Interview! Exclusive Dr. Tawnya Pettiford-Wates Interview! Twin Peaks Archive: Can you talk a little bit about your education and your professional career leading up to Twin Peaks? Dr. Tawnya Pettiford-Wates: I graduated from Carnegie-Mellon University with a BFA (1977), studied at the Central School of Drama Speech and Film in London,England and received my Graduate degrees from the Union Institute in Cincinnati,OH (1992). After college I went to NYC to join the Broadway production of "For colored Girls Who Have Considered Suicide/ when the rainbow was enuf" produced by Joseph Papp and the NY Shakespeare Festival. I then joined the 1st National Tour for the next 18 months we opened at the National Theatre in Washington,DC 1977. I toured nationally and internationally with the show for the next 2.5 years in various companies. I worked in theatre regionally, did commercial television and film. In 1980 I began directing productions regionally from Minneapolis to Seattle,WA. 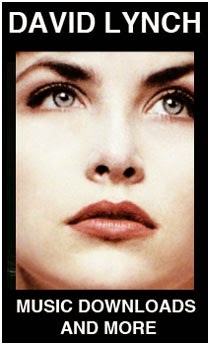 I relocated in 1980 to Seattle and began working acting and directing in the area for the next 23 years. During that time a went back to school to get my Ph.D. and was head of the Theatre Department at Seattle Central Community College for 17 years. My agency was The Actor's Group in Seattle and I worked consistently in theatre,film and television until I left Seattle to take a job as Head of performance at Virginia Commonwealth University in 2004. I have also moved a company I started in Seattle to Richmond. The Conciliation Project is a company whose mission is: "To promote through active and challenging dramatic work open and honest dialogue about Racism in America in order to repair its damaging legacy." We have been establishing the company here in VA and continuing to develop new work. TPA: How did you get the part of Dr. Shelvy in the Pilot to Twin Peaks? TP-W: I got a call from my agent, read for David Lynch and landed the role. TPA: Do you remember where the scene was filmed? TPA: Was it a normal shoot? Any interesting or unusual stories about it or your time on the show? TP-W: It was "normal" as far as shoots go...but there was a "mystic" on the set too..kinda of quirky like the show. I remember walking in to the room to sort of familiarize myself and work on some "doctor business" when the person in the bed (who I thought was a dummy) turned her head and said "hello." I almost jumped out of my skin...I screamed really loud and then we all had a BIG laugh! TPA: Did you have any scenes or lines that were cut? TP-W: No my entire scene was in...I was very happy! TPA: Were you aware of David Lynch when you accepted the role? Had you seen any of his films? TP-W: I have to say, I was not aware of David Lynch before this. My audition for him was an interview and not a read, that was different. I did watch Blue Velvet after the fact...and I did a commercial for "no smoking" on Northwest Airlines that his Lighting guy worked on (apparently he got several awards for his lighting) the other actors on set talked a lot about Lynch on that shoot. That was before I landed Twin Peaks. TPA: How long did it take to film your scene(s)? TPA: Did you end up watching the show? If so, what is your honest opinion of it? TP-W: I did not end up watching the show.....I watched my episode and some of the work of friends but I had trouble "getting into" the show. It was not my type of series TV. It did have a specific audience and I was not it! TPA: We understand that you are a very well respected acting teacher. Can you tell us where you teach? Do you have a preference between acting and teaching? TP-W: I love teaching! I love acting! And directing too!! I have found that I am much more selective about what I do as an actor now and so I enjoy the parts that I do play even more. I am teaching both undergraduates and graduate students in the Theatre Department at Virginia Commonwealth University in Richmond, VA. I work commerically less because the market is not as active in this region. However, I am working on getting myself up in the the DC/Baltimore market where there is much more work available. My university and department chair are very supportive of my working in the industry. I truly love BOTH! It was a great experience. 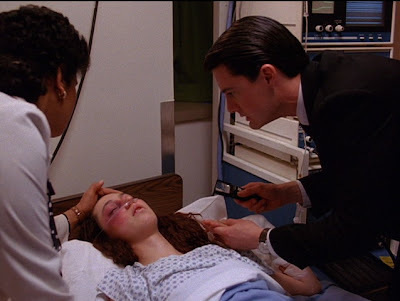 David Lynch was very very specific....shooting the scene as if it were a play initially and then taking it apart bit by bit and "coaching from the sidelines" to get the "look" he wanted. I have never worked with a Director like him before or since! Twin Peaks Archive thanks Dr. Pettiford-Wates for taking time out of her busy schedule to talk to us!